Remember what Cramer said on Friday? 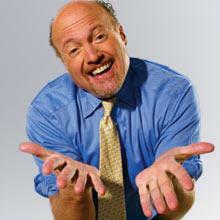 But no one can say that Cramer doesn't know how the game works! Volcano plus the GS drama and the market's already recovered? wow!